Mr. Rudain Kawar’s biography is rich with business and social achievements across economic and vital sectors. He is proud to hold the titles of Honorary Consul General of Denmark in Jordan and is also the Deputy Chairman of the Jordan Investment Board and a member of the Advisory Board of the Ministry of Industry and Trade. Moreover, he is the CEO of the Jordan-based Kawar group of companies, which serves the MENA region in a number of services, including shipping, logistics, travel and tourism, information and communication technologies, real estate, energy, health insurance, services, and international trade and development. Among his various titles, Mr. Rudain also serves as CEO of Gulf Agency Company (GAC), Manara Shipping Company MSC, and Aqaba Shipping Company. 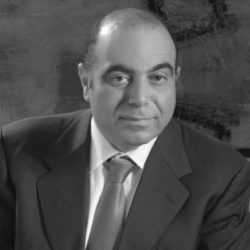 He is also Board Member of the Red Sea Shipping Agency, the Chairman of Aqaba Logistics Village ALV, a member of the International Chamber of Commerce based in Paris, and a member of the Commercial Crime Services based in London. He also previously served as the Chairman of the Shipping Agent Association in Jordan. In 2008, Mr Rudain initiated and became the Vice Chairman of Kawar Energy, a developer of clean, green, sustainable energy projects. As a pioneer of ICT sector, Rudain Kawar is Principle Shareholder and Chairman of Optimiza, a public shareholding company that invests in ICT human capital, management, and business consulting. He is also a Board Member of Rubicon, a company that provides services aimed at making education entertaining and entertainment educational. In addition, he is a Board Member of Oasis 500, which is invested in selecting, training, and financing 500 technical projects within the next five years. Mr. Kawar also created the unique Arabic search engine D1G. With regards to the health sector, Mr. Kawar served as the Chairman of Advanced Medical Equipment Company and was Vice Chairman of NatHealth. Stemming from his sense of social responsibility, Mr. Rudain Kawar became Chairman of Injaz, which aims to inspire and prepare Jordanian youth to enhance their job opportunities and join the labor market as employees or entrepreneurs who are qualified and highly efficient. Mr. Rudain Kawar holds a Bachelor’s degree in Economics and Political Science and an MBA from Boston College in the United States of America.